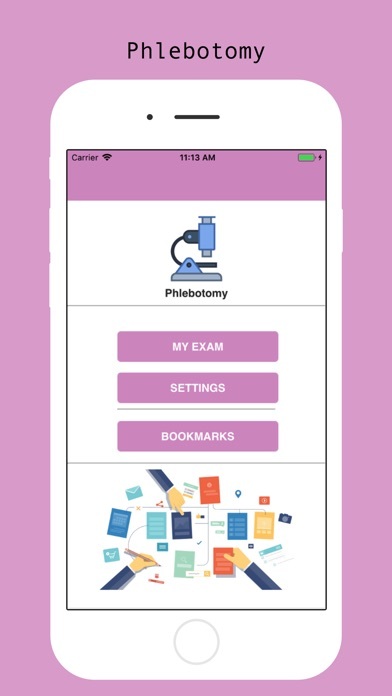 Phlebotomy Visual Prep Recently Updated ----- Phlebotomy Contents are recently updated based on official curriculums. Hospitals, laboratories and other employers have an increasing demand for phlebotomists. Most seek, and many require, a professional certification. With a CPT certification, you’ll have the credentials you need to set yourself apart from other applicants as you embark on a rewarding healthcare career. As more employers require phlebotomy certifications, a CPT will help improve your marketability in a growing and rewarding field. Visual Prep Provides you three learning options. * Visual Mode * Training Mode * Student Mode Learn, Train and Pass your exam on the first attempt, Visual Prep Passing rate is more than 98% App Features: ---- *	Latest Update *	Three Learning Modes *	Verified Contents *	Save/Bookmark Unlimited Questions *	Lifetime Updates FREE *	Test Taking Strategy *	Testing Log *	Review Your Exam *	Friendly Interface *	Works without Internet Connection *	Dynamic and Static Content Updates FREE *	Trusted by Industry Professionals ---- LEGAL NOTICE: WE ARE NOT affiliated with any testing agency, certificate, test name or any trademark. All Trademarks are the property of respected trademark owners.